Well, hosting a blog carnival* and, you know, parenting a two-year-old has taken all my juice the past several days. Herewith are a few links I've been saving up and my comments on the same. *Yes, I've noticed my co-host is not having this problem. What can I say in my defense? • If you're a blogger who supports breastfeeding (and why wouldn't you? 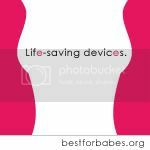 ), put the Best for Babes ad campaign on your site. The ads were designed pro bono thanks to Frank About Women and are absolutely charming and inherently meaningful. In a world where f*rmula gets all the advertising dollars, give breastfeeding a boost and help mamas beat the booby traps! • In the comments to my post on whether we should have another baby, Cypress Sun reminded me of a post she wrote titled "Only One" that I had meant to highlight. (Yes, please do prompt me about your wonderful posts in comments so I won't forget!) Go read it so I don't spoil the ending. Chills! The good, tingly, heartening kind. 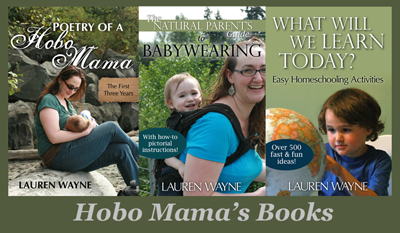 • Here are a couple published articles to complement my post on things to do away from home but still inside with kids in a Pacific Northwest winter. "Rainy day destinations: Seattle dry spots that provide entertainment for the whole family"
"Rainy day diversions: Good ideas for what to do when the weather is wet"
I know these compilations are specific to Seattle, but I post them as inspiration: Maybe you could poke around online for a similar list for your area. Keep those ideas coming, for whatever challenging clime you're in! The Arena Sports Fun Zone sounds like the bouncy house playplace Planet Jump that Jamie of Blessed With Full Hands mentioned in the comments. That reminds me of an indoor trampoline center (full trampoline floors and walls!) in Bellevue called Sky High Sports, which would be a blast for slightly older children. I know there's a special court there for little kids, but I can't find on the site exactly how little they can be. 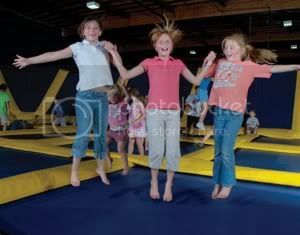 For very much older kids (i.e., us), there are even trampoline aerobics classes, which would be a hilarious way to raise a sweat. Oh, I'm sorry, AIRobics. [ETA 10:59 p.m.] I just remembered one more, but it's on the pricey side, so we've never been. Baby Loves Disco is an indoor dance-and-hang sort of event for little ones and their families, at various locations around the US and elsewhere. I know about it because BabyLegs is always giving out pairs for free at the dances. The problem is, tickets are...oh, wait. I just looked at the website, and it's indefinitely postponed/canceled everywhere due to economic woes. Sigh. All right, never mind. Ok, I'll try one more thing. Your local community centers might have (ours do) free/cheap-o family or toddler activities, like board game nights or craft nights. Check it out, yo. If you go to your local community center, there'll usually be a paper catalog to grab; if you can find the website, there's usually a PDF one to download, or you might even be able to register online. There. Hope that soothed the wound I opened by promising baby disco and then taking it away. • I meant to post about this even before we started a carnival ourselves and think I haven't yet: Melodie at Breastfeeding Moms Unite! has compiled an awesome list of "Carnivals For Crunchy Mamas." So if you love writing for blog carnivals (or if you host a relevant one that isn't listed), head on over there! They're divided by category, so you're covered if you want to write on themes such as homeschooling, green parenting, feminism, birth, breastfeeding, and more. And that's all I've got for now! Stay tuned after midnight for the first Carnival of Natural Parenting! It's an astonishing collection of incredible writers — and, no, I'm not overselling it. By the way, if you're a participant or supporter and want our delightful button to put in your sidebar (that's Mikko's starfish hand in the grass — I keep having to check it to make sure there aren't six fingers), grab this code and proclaim to the blogosphere that you are a natural parent! That should work! Let me know if there are any coding problems. Thanks! I had some easy post fodder - game ideas and beautiful pictures of my new nephew ;) And the nephew pics were a rush job - I was under strict orders to get some ooey gooey newborn cuteness up ASAP! SO excited for all of the posts tomorrow! !